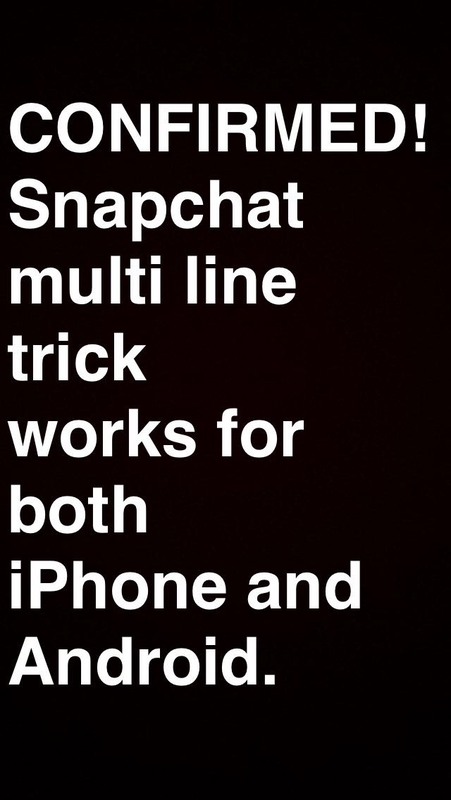 Get all Snapchat tips and tricks here. If you are having trouble feel free to comment below. 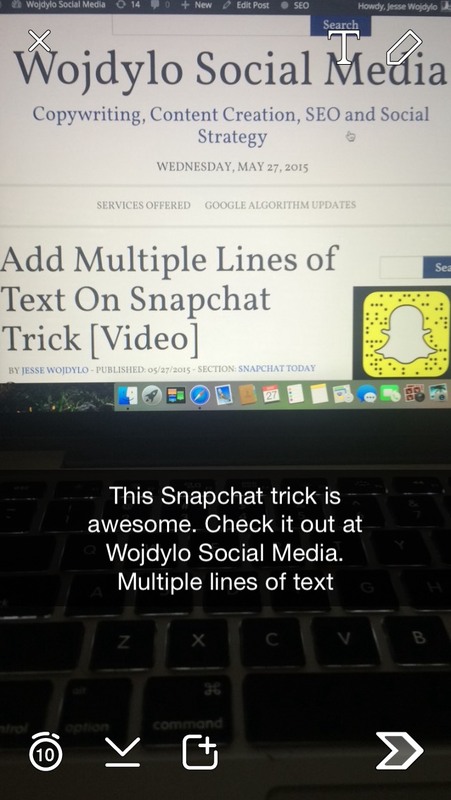 When people ask you how you learned to do this please reference them to this article on Wojdylo Social Media. I am not certain if this works on Android or not. Test it out and let me know! Confirmed. It works on both Android and iPhone. I have an lg g3 and it so t let me paste in Snapchat. I have the galaxy 5s as well… I tried this out and it turned into a bunch of space marks. How is this confirmed on android when is clearly does not work? This failed in my galaxy too. This does NOT work for my Samsung galaxy avant. Although I have seen certain androids that are not so updated that can do this trick. My phone is updated and I can’t do the multiple lines. This site is very helpful I’ll give it credit, but it doesn’t work on my phone.